If you want maximum fat loss in minimum time, use interval training. High-intensity interval training (HIIT) is a popular form of exercise that combines two of the most effective fat-burning methods. The first is high-intensity training, which pushes the body to maximum effort to achieve muscle fatigue and maximum oxygen use in a quick burst. Working your body close to its VO2 max triggers the afterburn effect, where the body continues to consume oxygen (and burn calories) up to 48 hours after the workout. The second method is interval training, which alternates periods of intense effort with periods of moderate-to-low intensity effort. 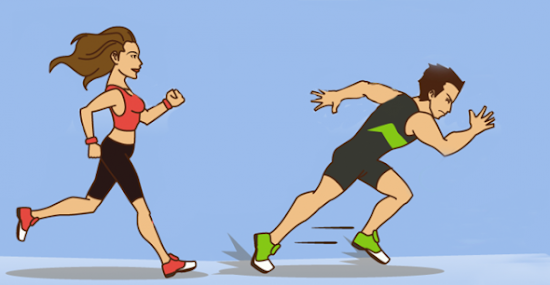 Interval training boosts metabolism significantly longer than a steady workout of equal or even greater length. By combining the above two principles, exercisers can maximize fat-burning and muscle-building potential through significantly shorter workouts. HIIT maximizes increased metabolic rate, optimizes muscle building and muscle retention during fat loss, and increases calorie burn during and after workouts.